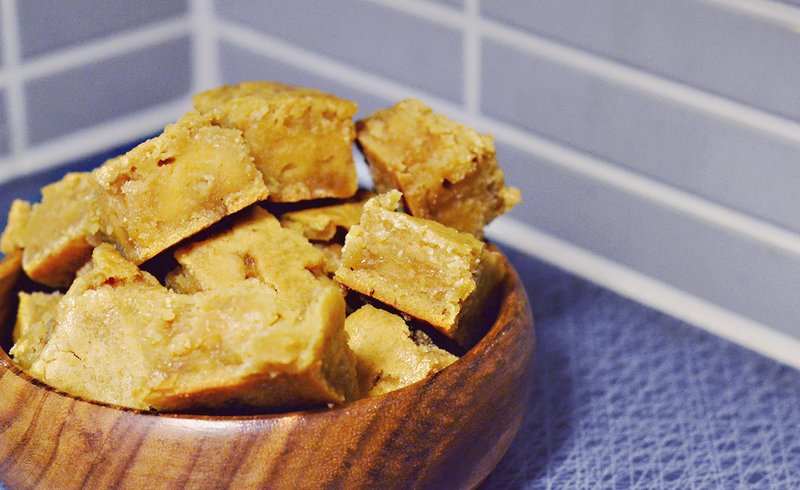 Pretty much any non-vegan sweets you’ve enjoyed can be made plant based with a couple of small tweaks. 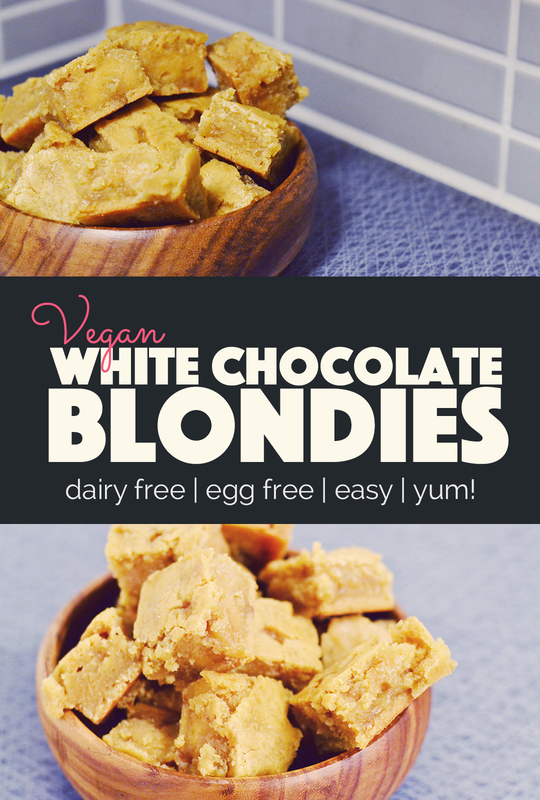 Like these vegan white chocolate blondies. A lot of people assume transitioning to a plant based diet is going to mean that they’ll have to give up all their favourite foods. Because going vegan means you only eat fruit and vegetables, right? The truth is, you can totally have your cake and eat it too… or eat your plants and your cake. 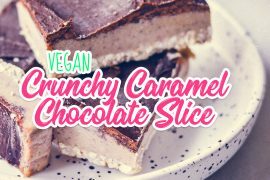 A lot of your favourite foods can quite easily be made vegan, especially when it comes to bake goods like cakes, cookies, and other yummy desserts. I’ve shocked quite a few people when I’ve announced that, oh, by the way, that dessert you just devoured? It’s vegan. I don’t do it to spite anyone, I see it as a means to encourage people to try more plant based foods. 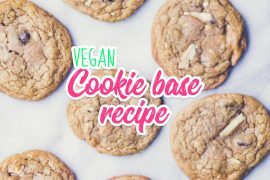 A plant based version of a classic cake or cookie is such an easy way to prove that plant based food is totally not boring! 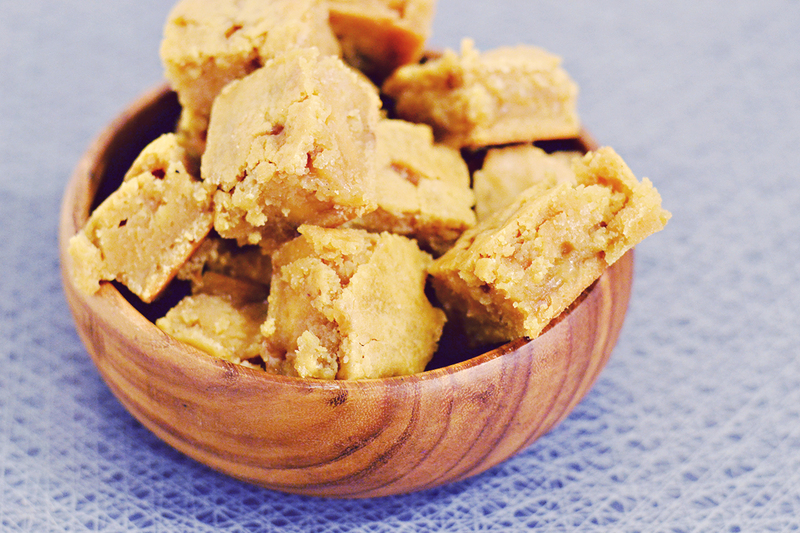 If you’re catering to a group of semi-veggie friends, or meat eater friends who wouldn’t touch anything vegan with a stick, serve them these vegan white chocolate blondies and see what they think. I’ll leave it up to you if you want to shock their system with the news that they’ve just eaten something vegan. 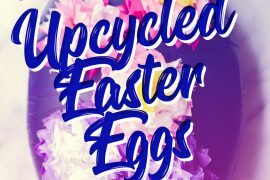 Or if you just keep that little bit of insight to yourself, relishing in the notion that you’ve made a lesser print on the environment with your contribution. Preheat the oven to 350F / 175 C and line a 7×10 inch (18x25cm) pan with parchment paper. Melt the butter and let it cool slightly, then combine it with the vanilla soy yoghurt and whip with an electrical beater. Add the sugars and whip again, then add the soy milk, vanilla extract and salt and whip again to combine. Add the flour and whip until completely incorporated and no lumps remain. Add the chopped vegan white chocolate and fold it into the mix with a spatula. Pour into the prepared pan and bake in the oven for 28-30 minutes. Be careful not to over bake the blondies, you want them to come out slightly gooey. 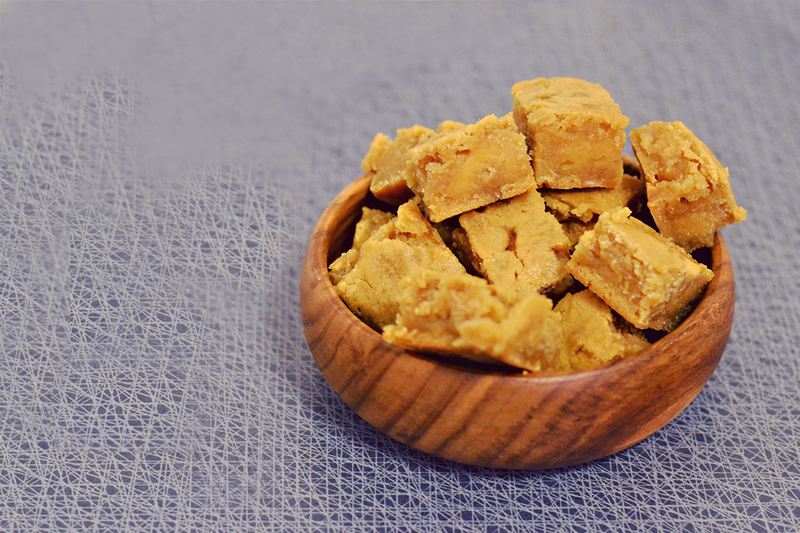 Allow to cool completely before chopping into squares and storing in an airtight container in the fridge for up to a week.